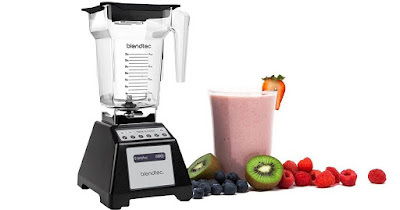 Today only Amazon has this Blendtec Total Blender Classic w/ FourSide Jar for just $199.99 shipped (Retail $310+). This super versatile blender features a FourSide Jar and a 'wing-tipped' blade that create perfectly smooth soups, smoothies, nut butters, sorbets, fresh baby food and so much more! And this blender features one-touch pre-programmed settings to ensure that recipes turn out perfectly every time!